If you’ve never had the chance to watch the sun rise in a red rock canyon, now is the time. 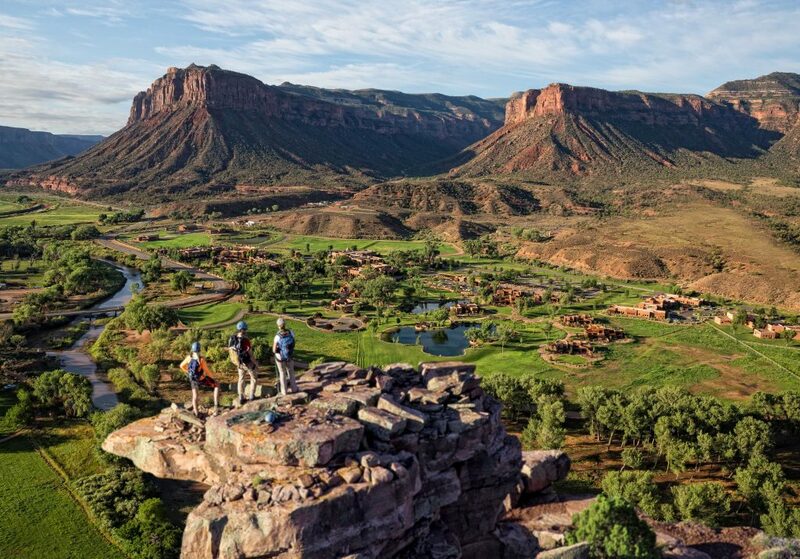 At Gateway Canyons Resort in Western Colorado, each day of your visit begins in golden light as the sun illuminates our towering peaks of granite and sandstone in shades of amber and ochre. Across the canyon floor, sunrise moves silently into our valley, warming each cavern, mantle and peak. There is no better place in the world to awaken with nature. Here, you can explore places virtually untouched by humans, in the stunning landscape of sculptured rock that surrounds Gateway, Colorado. Here, your ears will learn to recognize the call of the red-tailed hawk, and your mind will open to the paths of an ancient land. Here, it’s possible to live with childlike wonder, as you discover a world of new adventures. 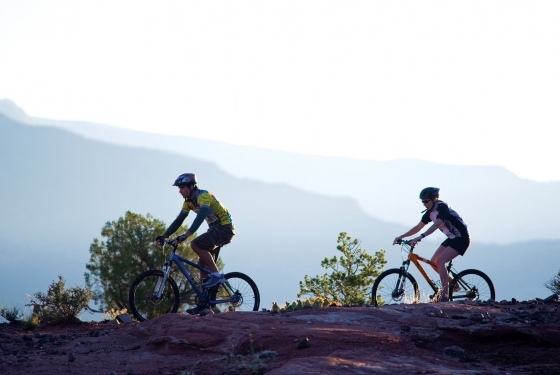 Named “Best Adventure Resort in Colorado” by “Best Of” TV, there are few places in the world that can provide you with an experience and location such as this. And Gateway Canyons is the only resort in Colorado that can provide this level of luxury and attention to detail. We invite you to come experience our Palisade Event Center, offering over 8,700 square feet of meeting space including an HD theater, expandable conference rooms, and boardrooms. 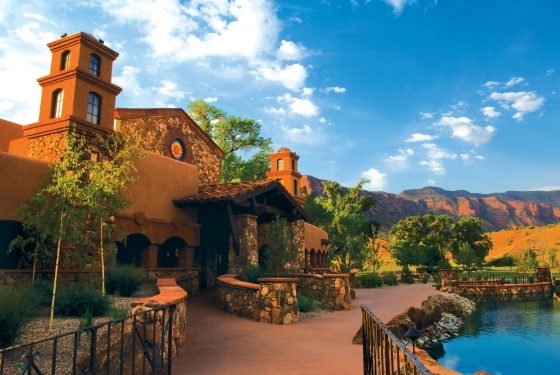 Gateway Canyons Resort offers 72 beautiful luxury rooms. Deluxes, Premiums, Signature Suites and Casitas. 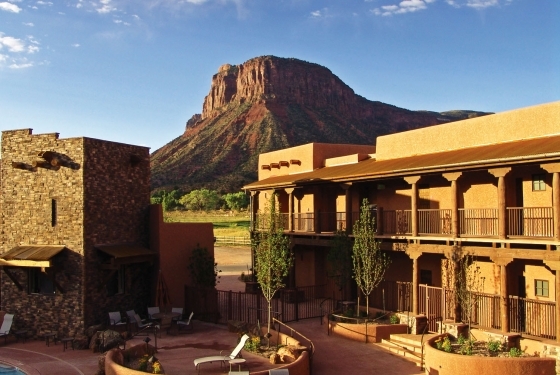 Our new Kayenta Lodge offers 20 premium rooms and the Kiva Lodge offers 38 spacious units including double queens and kings. Our signature rooms offer fireplaces, and private outdoor patios with hot tubs. Our One Bedroo Casitas provide the ultimate Luxury Experience. If you are looking for a truly unique destination for your wedding, then look no further! 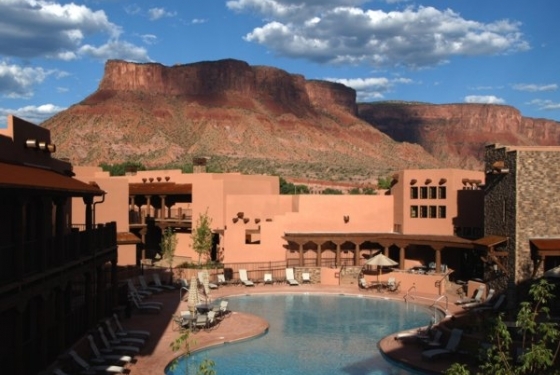 Gateway Canyons Resort is the one and only resort located at the convergence of five, red sandstone mesas. 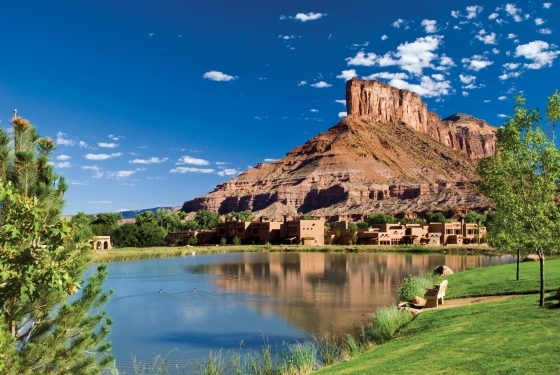 Located just one hour south of Grand Junction and only seven miles from the border of Utah, our resort surroundings resemble the backdrops out of a classic old western movie. Surrounded by lush green lawns, towering cottonwood trees, and desert flowers constantly blooming, it’s hard to find a bad angle as a photographer. We offer eight very different venues and when you book an outdoor venue with us we always include an indoor backup at no extra charge. 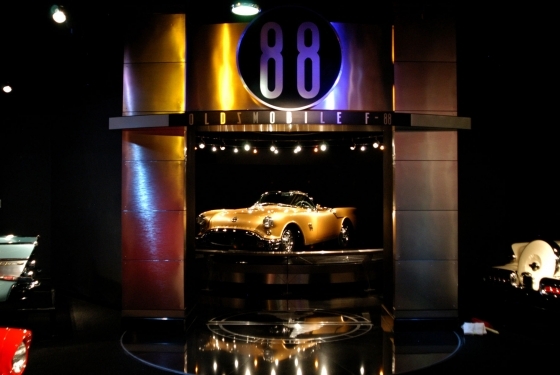 We can accommodate up to 200 guests at your ceremony and reception and we of course welcome your creativity in design. 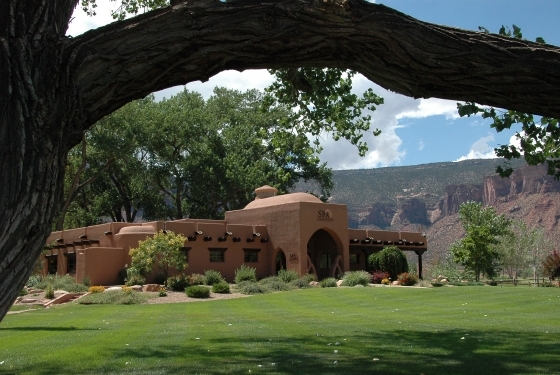 If any of your guests would like to celebrate late into the night we do offer 72 rooms for lodging, all of which are luxuriously appointed in a southwestern theme. 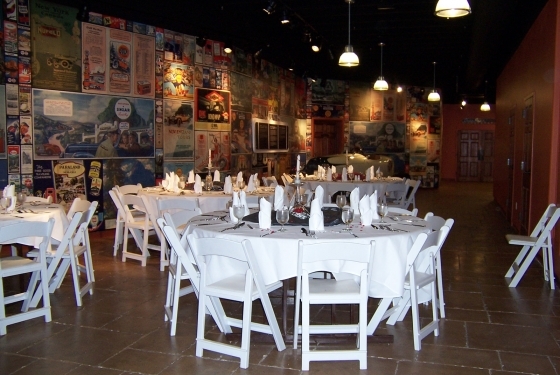 We do provide in-house catering, staff and coordination for your events. Whether you desire a classic and formal event or a modern casual event, we are the perfect venue to complete your dream wedding and create lasting memories. Please feel free to contact us for more information or a property tour.